Why would I need self storage in San Mateo, CA? There are a variety of reasons why you might need self-storage in San Mateo, CA. How much is a storage unit in San Mateo, CA? The cheapest storage unit in San Mateo, CA is $88.00 per month. What size storage units do you have available in San Mateo, CA? In San Mateo, CA we have sizes that range from 5'x5' to 10'x29' to suit your storage needs. How much is it for a 5'x5' storage unit in San Mateo, CA? The cheapest 5'x5' storage unit in San Mateo, CA is $88.00 per month. 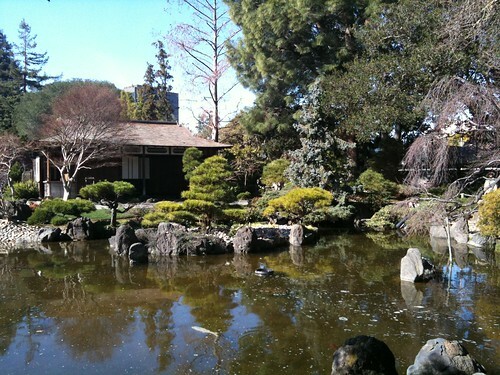 San Mateo is a bustling city in Northern California's San Francisco Bay Area. It's conveniently located close to three major freeways and is just 20 miles south of San Francisco and 30 miles northwest of San Jose. San Mateo is one of the most populous cities in San Mateo County, and it is known as the "Paris of the Peninsula" for its mild Mediterranean climate and calm Pacific Ocean waters. The Ohlone Indians were San Mateo's first inhabitants. It's thought they lived in the area stretching from Belmont to South San Francisco for at least 4,000 years before Spanish explorers arrived in 1776. In 1793, mission fathers in San Francisco established a mission outpost on San Mateo Creek. San Mateo grew when it became a stagecoach stop around 1849 and a railroad stop in 1863. The railroad attracted many wealthy people from San Francisco who built summer and weekend homes in the city, fueling the local economy and development. Alvinza Hayward was one of the city's most notable residents, often considered America's first millionaire. His 800-acre estate included a racetrack, deer park and sprawling mansion. San Mateo's central location has helped it cultivate a diverse economic base of approximately several thousand local businesses. These businesses provide tens of thousands of jobs in the city, with a large percentage of roles in the finance, retail and trade service sectors. If you're going to be joining the San Mateo job market, you might want to start your search at the city's largest employers: Sony Interactive Entertainment, Franklin Templeton Investments, the San Mateo Medical Center and the local school districts. The city has an unemployment rate that's significantly lower than the national average, which is good news if you're planning to search for a job. The San Mateo Union School District manages most public schools in San Mateo. Other school districts servicing the area are based in nearby communities: Belmont-Redwood Shores Elementary School District, San Mateo-Foster School District and Sequoia Union High School District. If you're planning on pursuing higher education in San Mateo, you'll find the conveniently located College of San Mateo within city limits. Stanford University and Notre Dame de Namur University are within a short driving distance of the city as well. Utilities: San Mateo's central energy provider is Peninsula Clean Energy, while the City of San Mateo supervises water and sewer services. Garbage and Recycling: Recology provides curbside collection of trash and recyclables. You can also request free bulky item collection twice a year, with additional collection services for a small fee. Transportation: In San Mateo, public transportation makes it extremely easy to get around the city and the surrounding Bay Area. You can take advantage of Bay Area Rapid Transit (BART) and Caltrain, which both provide access to nearby San Francisco. San Mateo housing costs have risen dramatically in recent years, climbing at a rate much faster than in other California cities. The median home price is well above the million-dollar mark and expected to keep climbing as the city grows. The good news is that there's a variety of housing options to choose from, ranging from compact studio apartments to large single-family homes. This makes it slightly easier to find a budget-friendly option that fits your needs. Our lowest priced units in San Mateo, CA average $96.50 per month. 106 people have reserved units in San Mateo, CA in the past 30 days. There are 2 locations within San Mateo, CA's city limits. There is 1 location in San Mateo, CA that offers AC and Heating features.